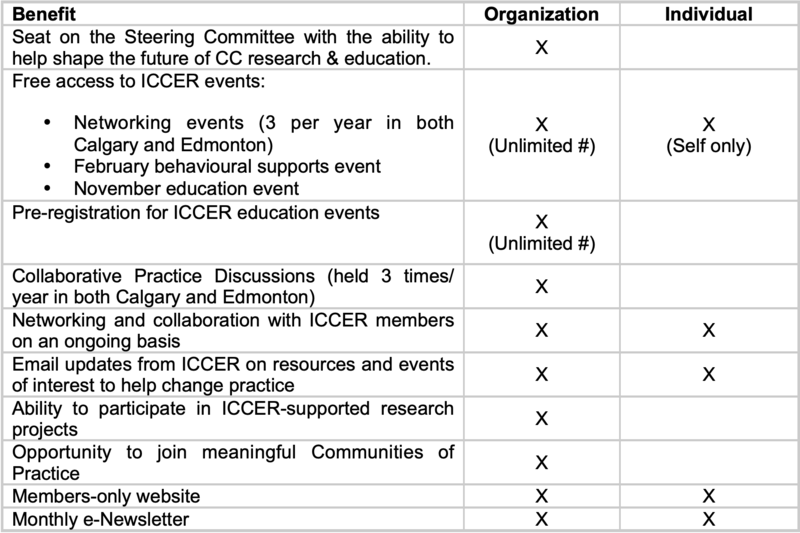 As of March 1st, individuals not associated with an ICCER organization can join the ICCER network for $150/year. If you are employed by one of ICCER’s member organizations, you are already considered a member and are eligible for all member benefits. Individual memberships will run April 1st to March 31st of each year. Purchase your membership on March 1st to get the month for free! Please note that refunds will not be provided under any circumstance. All payments will be through our automated payment system. See below for a summary of membership benefits!